And the victory could be good news for Led Zeppelin as the judge accused the lawyer involved in the Bad Girl lawsuit, who is also mounting a legal battle over the rockers' song Stairway To Heaven, of misconduct, The Hollywood Reporter revealed. Dan Marino sued Usher and 19 other co-defendants who collaborated on the track when it was known as Club Girl. Marino claimed he created the basic melody, chord progressions and tempo, yet was never credited. But the judge denied his copyright infringement claim because the song is a joint work and his fellow co-writers were entitled to license it. The court reports revealed that Judge Paul Diamond ordered sanctions against Marino's lawyer Francis Malofiy and said he had behaved "in a flagrantly unprofessional and offensive manner". Malofiy revealed earlier this month he is seeking to block the forthcoming re-release of Led Zeppelin IV with a claim of copyright infringement. He alleges Led Zeppelin stole the famous introduction to 1971's Stairway To Heaven from a 1968 song by the Los Angeles band Spirit. That lawsuit has yet to be filed. 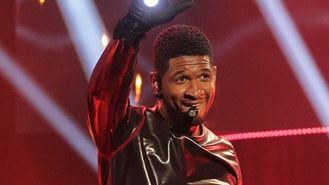 The judge said Malofiy has used sexist and abusive language in court, and also tricked one of Usher's co-defendants into attending a deposition without a lawyer and without knowing that he was one of the people being sued. Judge Diamond said: "Malofiy's discussions with (William) Guice are the paradigm of bad faith and intentional misconduct. "Whether Malofiy should be removed from practice is a question properly answered in another forum."